HOCKEY EQUIPMENT IS NOT ALLOWED. 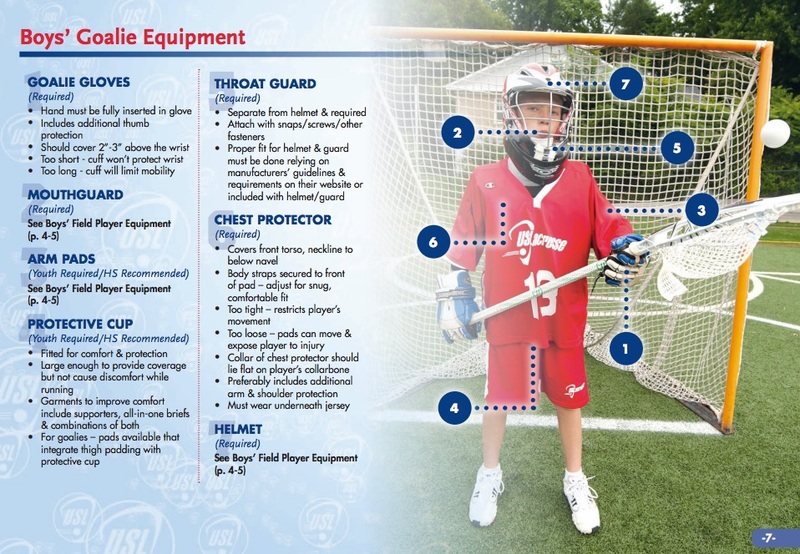 All equipment used for to play lacrosse must be for lacrosse except for cleats, mouth guards, and protective cups for boys. The length of the crosse/lacrosse stick varies depending on position of the player and age group. 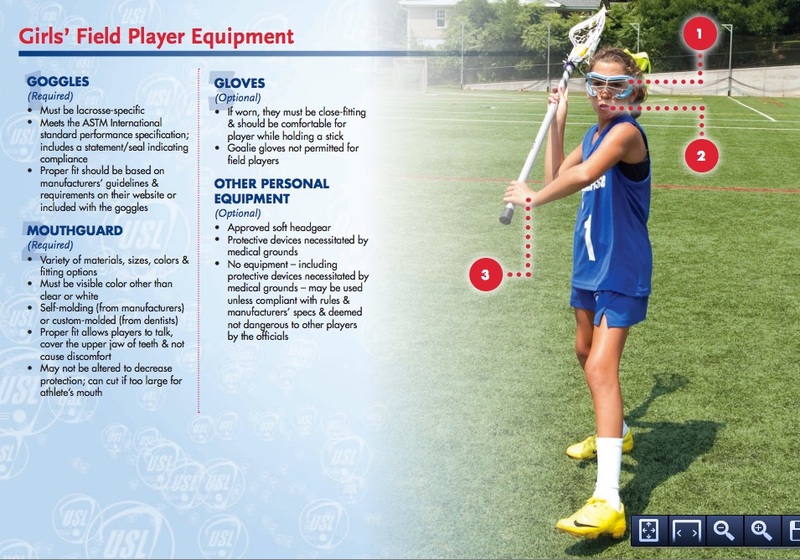 SNLA generally follows the US Lacrosse Rules. 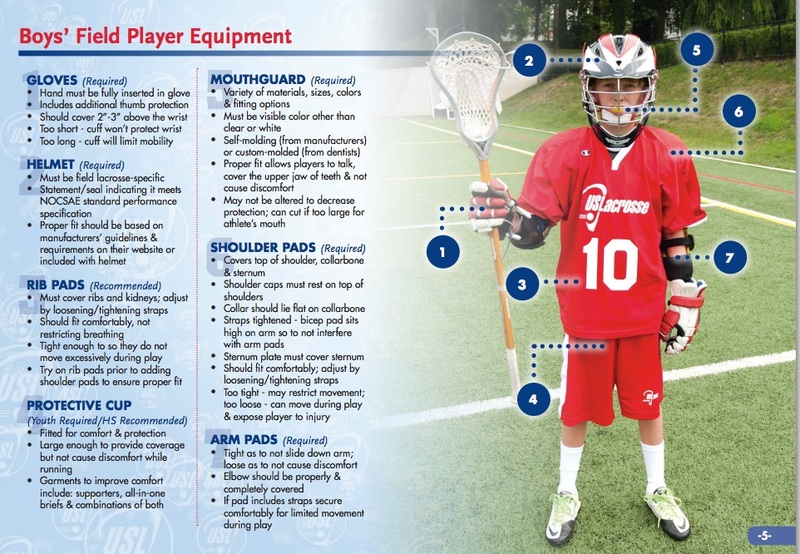 However for Youth Lacrosse especially in the younger age groups there may be some variances. Lacrosse players can wear cleats that are made for football and soccer in addition to those made for lacrosse. 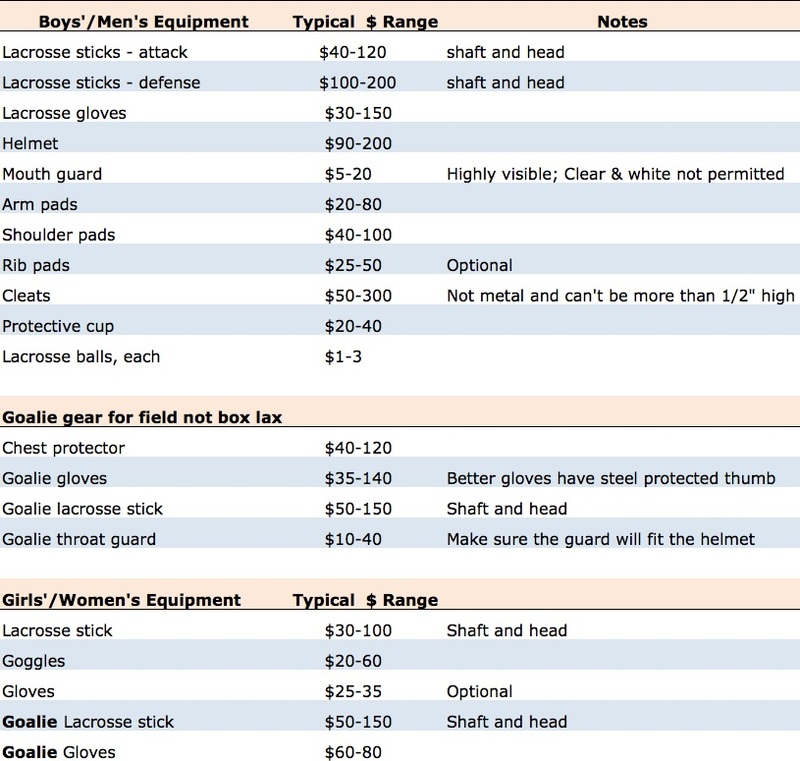 Selection for lacrosse cleats are small for younger players with sizes smaller than Men's six. Your best best is to go to a store with a large cleat selection or to order them through an online store. Generally speaking, like many other sports equipment, the products with better quality (lighter or more durable) tend to be more expensive. We have listed all the required equipment in the list below with a typical range for price. For beginners, shop for a beginner set that is more economical than buying equipment individually. 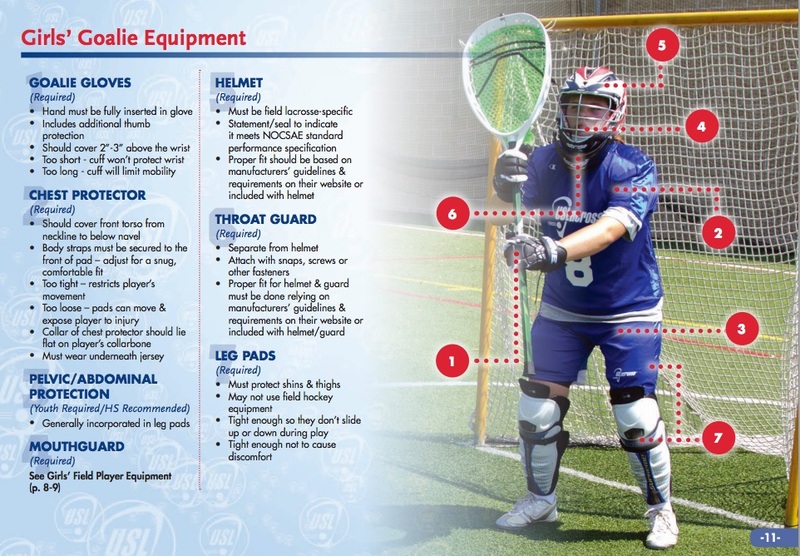 To ensure a proper fit of all your player's equipment, please review the "EQUIPMENT FITTING GUIDE" by visiting US Lacrosse's resource pages. Some of the well known brands in lacrosse are Brine, Warrior, Stx, and DeBeer/Gait. For helmets, Cascade, Gait, Brine, and Riddell are recognized leaders.